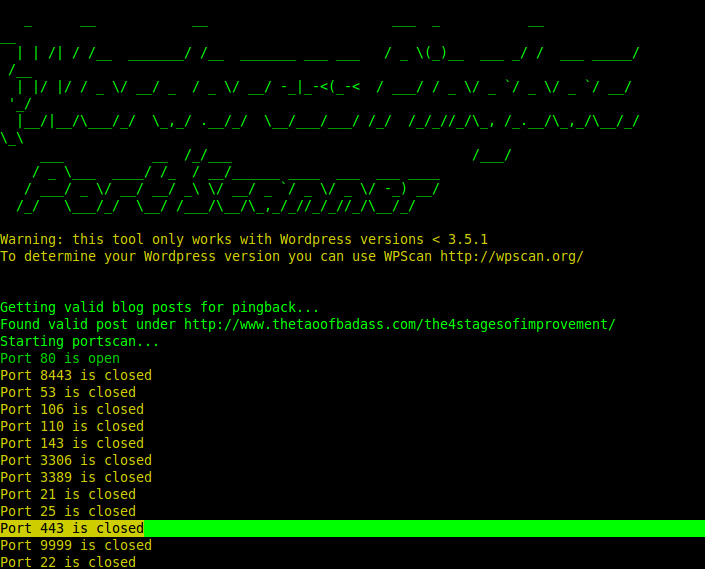 Wordpress exposes a so called Pingback API to link to other blogposts. Using this feature you can scan other hosts on the intra- or internet via this server. You can also use this feature for some kind of distributed port scanning: You can scan a single host using multiple Wordpress Blogs exposing this API. This issue was fixed in Wordpress 3.5.1. Older versions are vulnerable, if the XML-RPC Interface is active.